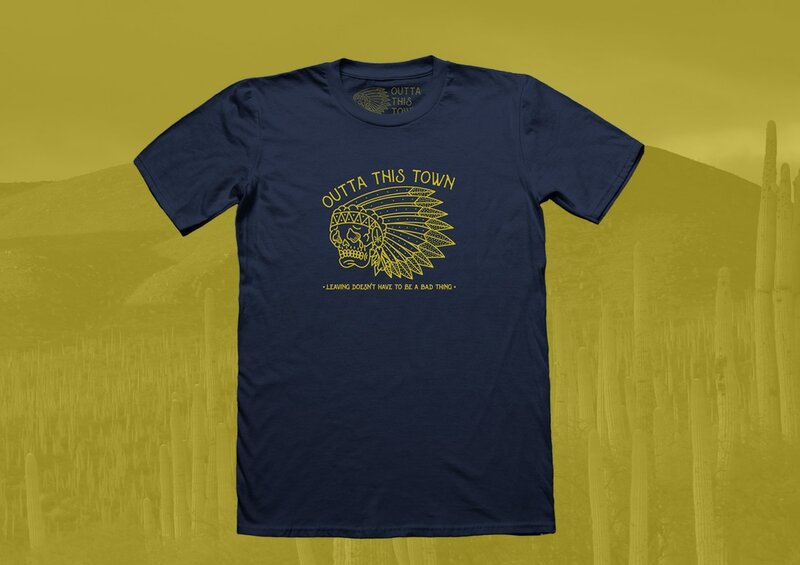 The clothing line I run Outta This Town was ready for a new batch of t-shirts to be printed. I wanted to try something different. 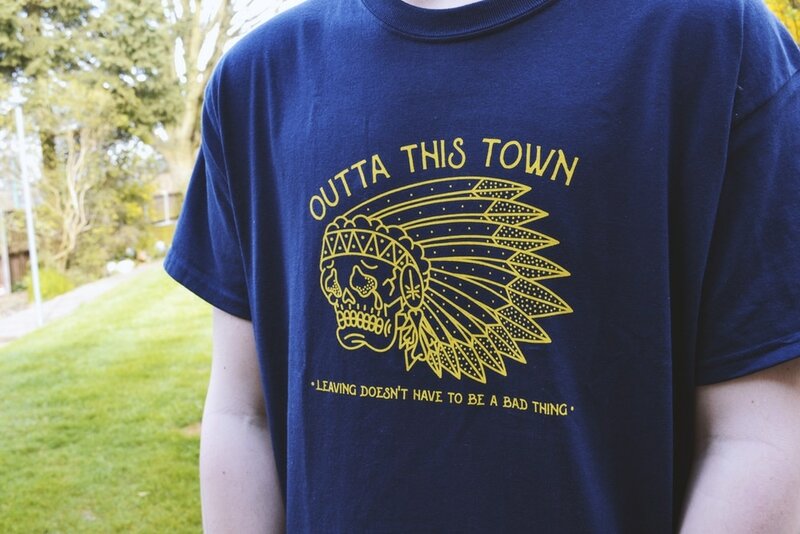 I chose a yellow print colour on navy t-shirts - the design features a native american tearing up. 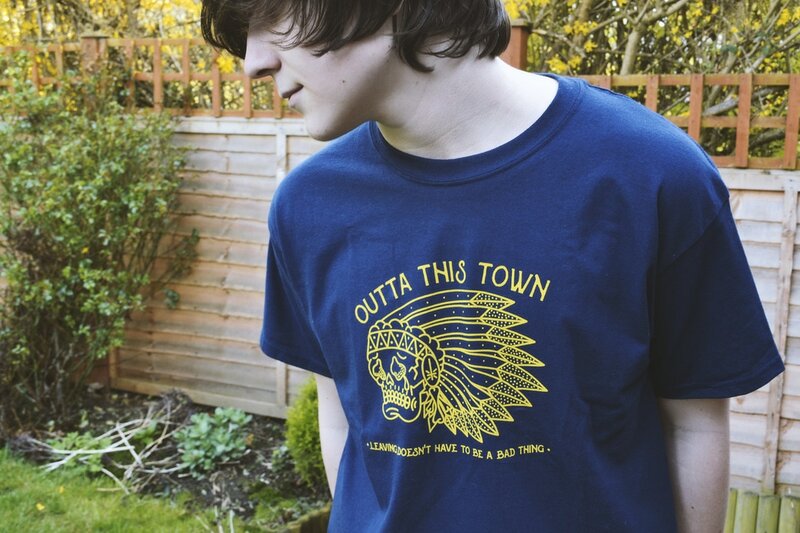 All of the designs are based around the concept of leaving your home town in different themes/styles. I thought a front chest print was unique. Below shows how the t-shirt turned out and me wearing it looking very happy indeed.